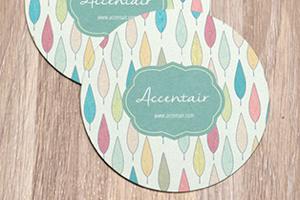 Leave a unique impression with leaf-shaped cards! 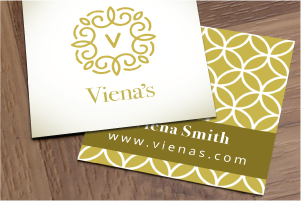 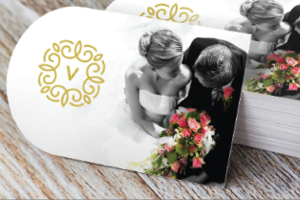 If you're stuck between choosing straight edges and rounded corners, leaf-shaped cards are the perfect choice for you. 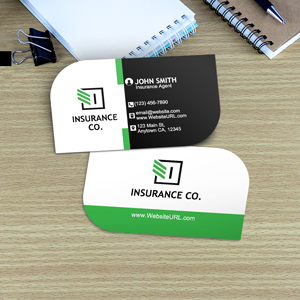 With round corners on one side, straight edges on the other, you get to have both in one card! 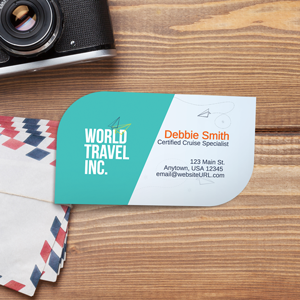 A noticeable, creative shape that says you're fun and modern is a surefire way to catch some extra attention. 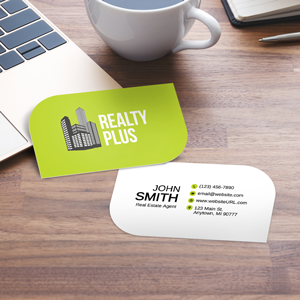 Our 2'' x 3.5'' leaf-shaped business cards and are printed in full color and are available in a range of different, high-quality card stocks. 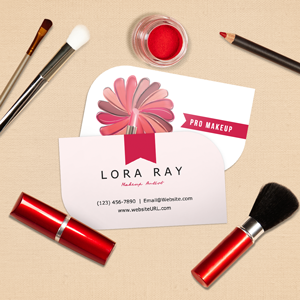 Choose glossy for a shiny look or matte for a more subtle style. 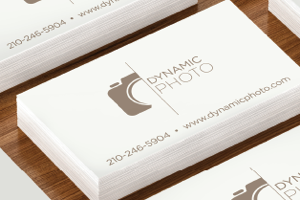 No matter your industry, style or promotional need, we have the options to help you look great. 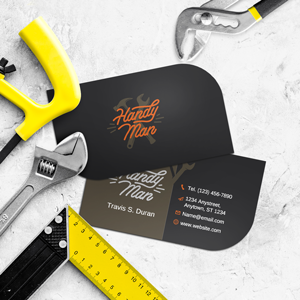 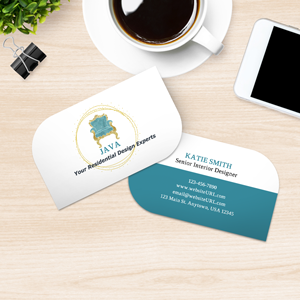 With leaf business cards, you can really put your creativity to the test. 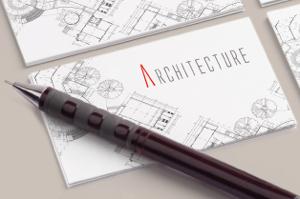 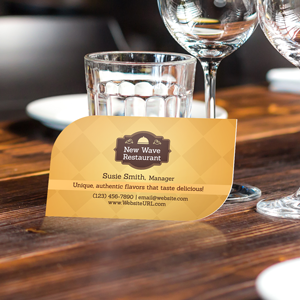 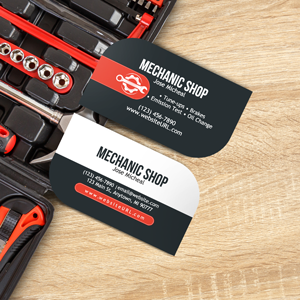 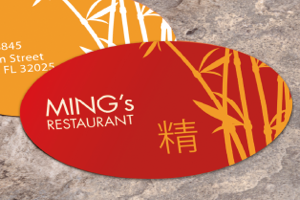 Customize your special-shaped card to match your business and brand. 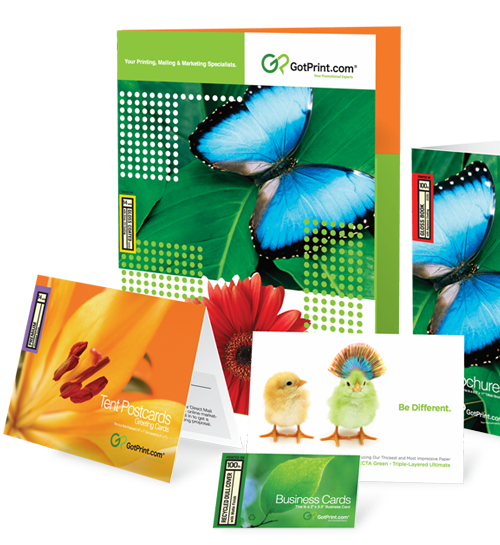 And with numerous templates and backgrounds to choose from, customizing your card online from blank to complete is easy and effortless. 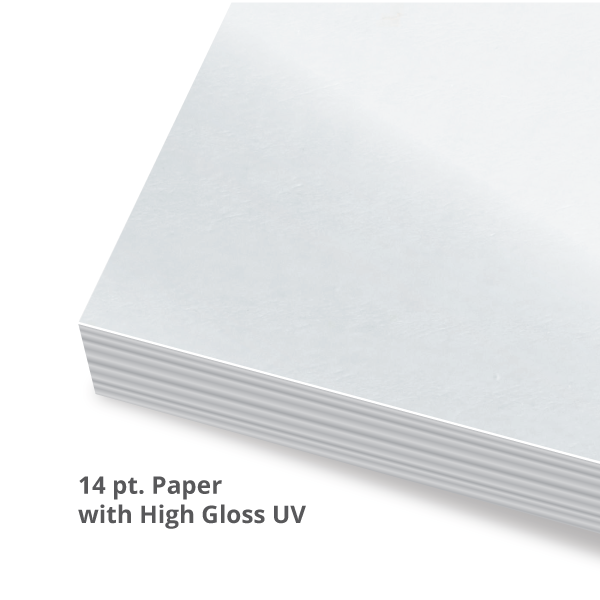 Size with Bleed: 2.325" x 3.825"